Flower gardeners spend a great deal of time thinking about the soil. We turn it, tend it, amend it, admire it, and curse it. Rich, black, loamy soil is at the heart of everything we grow, and if we had 10 dollars to spend on gardening, most of us would spend nine dollars on the hole and one dollar on the plant. Therefore, few flower gardeners consider hydroponics gardening as a serious alternative to conventional gardens that grow in containers or in the ground. Hydroponics systems are something one ponders at a science exhibition; curiosities that consist of a maze of tubing with unknown chemicals piped throughout. In fact, hydroponic garden suppliers have expanded their offerings to make it easy for the novice to get involved in the hobby. 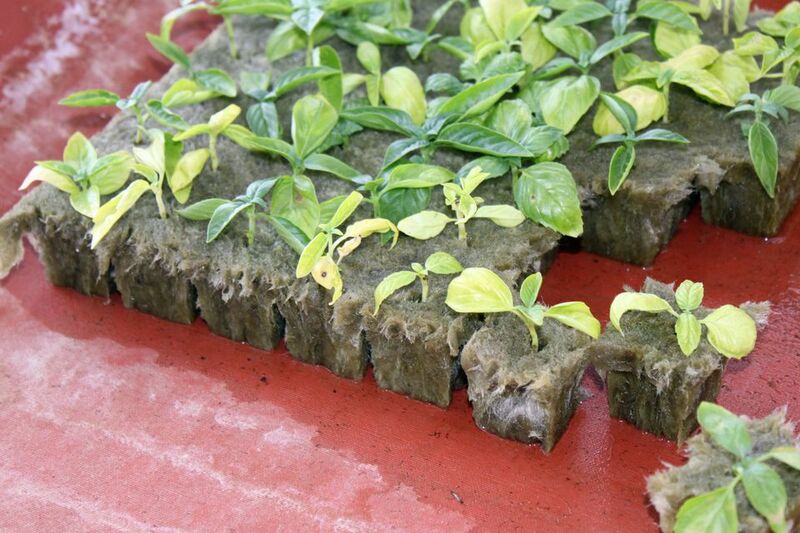 Hydroponics gardening systems have some advantages over conventional soil culture. If you like quick results, choose hydroponics. Growing flowers in a hydroponic system gives you complete control over nutrient delivery and pH balance, allowing precise delivery tailored to the needs of each species. Without the physical barrier of soil, plants don't need to expend as much energy drawing nutrients into their roots. There are no weeds, insects, or diseases in a self-contained hydroponics system. All of these benefits contribute to the fact that plants grow up to 50 percent faster in hydroponic culture compared to those growing in soil, and have a greater flower yield as well. Hello, fresh cut flower arrangements! Flowers that are popular in the florist trade are usually good candidates for hydroponic culture. Why is this? Flowers like carnations, gerbera daisies, snapdragons, and lisianthus are picky about their growing conditions, and frequently suffer from fungal diseases like fusarium wilt. Don't stop with your typical outdoor garden flowers though: houseplants are also excellent candidates for hydroponic culture. With a few cuttings, you can start a hydroponic collection of peace lilies, hoya, Rex begonias, or flowering jasmine vines. If you're new to hydroponic gardening, you may consider a complete hydroponic system as an introduction to soil-free flower culture. A hydroponic system is a self-contained growing unit that may consist of a growing container, a water reservoir, growing media, and a pump that recirculates the water. You must add the hydroponic nutrients and flowering plants. Hydroponic kits vary widely in size and price, but most systems accommodate a static number of growing pots. This means if you purchased a kit that only features 12 growing stations, you can only grow 12 plants at a time. Unless you have severe space restrictions, buy a hydroponic system that grows at least 24 plants or more so your hobby doesn't outgrow the system too quickly. Some all-inclusive hydroponic kits include lighting, but if not, don't forget this important part of the growing equation. High-pressure sodium bulbs will provide the full spectrum of bright light that flowering plants need, and a reflective hood will increase the efficiency of your bulbs. By using a timer feature to control your lights, you may be able to induce repeat flowering in plants like poinsettias and Christmas cactus that have very exacting lighting requirements by season. Unlike the complicated chemical soups hydroponic gardening suppliers offered in the past, most companies now recognize the value of growing plants using naturally derived nutrients. Hydroponic fertilizers may come in a liquid or powder form that you dilute and add to your growing system. Organic ingredients are similar to what we use in the soil, including such additives as earthworm castings, blood meal, fish meal, kelp, or guano. In addition to fertilizer, hydroponic gardeners must add the trace elements normally found in healthy soils, as the growing media will be inert. Look specifically for products that advertise trace mineral content on the label. If you're growing plants that have a fussy pH range, you can also alter this with a sulfuric acid preparation or dolomite lime. "I love digging through clay and hardpan soil," said no one, ever. Hydroponics systems eliminate soil and digging, but plants still require a growing medium to anchor their roots. Some of the growing media are the same materials flower gardeners might use to amend their soil, while others are used specifically for hydroponic applications. You can use perlite, coconut fiber, rock wool, or even sand. Whatever you choose, you will enjoy one of the advantages of hydroponic gardening, which is the ability to dodge soil-borne diseases.